Due to space limitations, registration is now closed for this event. Please join us at our Business After Hours next week on April 17! When: Wednesday, April 10, 2019, 8:00 a.m. - 9:30 a.m. Effective time management skills are a well-known cornerstone for success in life, whether you’re managing a small business, a large organization or your busy family! If you often feel overwhelmed by the many demands on your time, this interactive, hands on session can help. Whether the reason your time feels like it keeps slipping into the future without your control is due to interruptions, unproductive meetings, constantly shifting priorities, conflicting deadlines or “yes, of course” syndrome, you’ll learn how to enjoy more productive days. If you’re ready to focus on the truly important things in your professional and personal life, you’ll find this workshop beneficial. Register now for this opportunity to create a time management framework to help you address any factors that may be working against you. Cheryl spent 25 years with Mellon Financial Services in various roles, including small business loan officer, small business loan/cash management service center manager, project manager and e-commerce strategist. Cheryl is a skilled trainer, with experience leading a range of training sessions from sales processes to the Covey Time Management system. 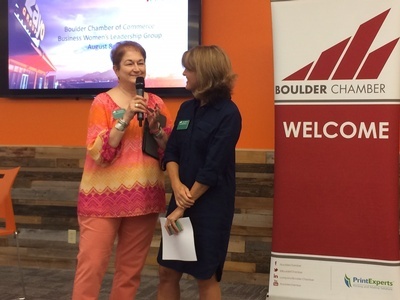 Cheryl relocated to Boulder, CO in 2011 where she started a new business which now includes business coaching and meeting facilitation. A fitness fanatic, Cheryl enjoys biking throughout Boulder, loves CrossFit, singing and looks forward to welcoming another Frisbee dog into her life one day! 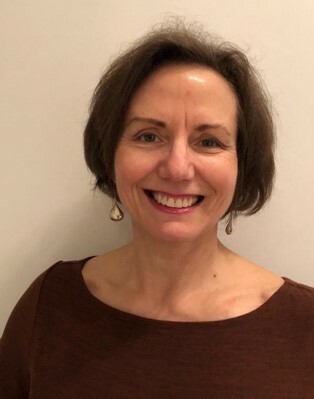 Carey is an experienced business coach and consultant who assists business owners, CEOs and aspiring solopreneurs to achieve their personal and company visions by coupling personal coaching sessions with monthly peer board meetings that focus on the issues, challenges and opportunities that impact the overall performance of their business. Carey leverages almost 4 decades of corporate business experience to help aspiring as well as seasoned business owners accelerate their success to benefit their business, employees and the community. 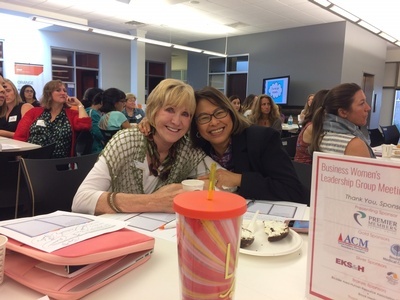 Our presenters for the upcoming Business Women's Leadership Group meeting on April 10th would appreciate your advance input via this quick survey which should require only 3-4 minutes of your precious time. We hope you'll agree there's no better time than NOW to take a fresh look at your priorities, projects, and never-ending to-do list to help focus on what matters most to you! 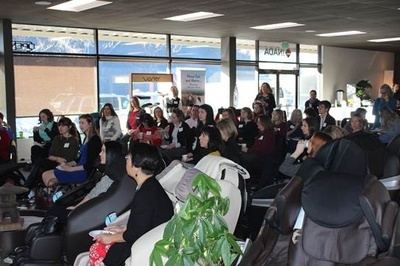 As one of the strongest and most active groups within the Boulder Chamber, Business Women's Leadership Group (BWLG) provides Boulder's community of business women with education, networking, leadership, and recognition through informative and professional programs. The BWLG also provides the committee for the Women Who Light the Community signature event. We invite you to join the to help you build your business and advance your career.